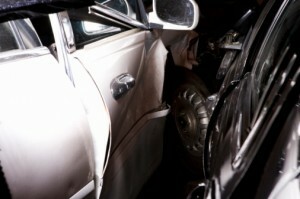 Doubtful vehicular insurance claims have been mounting up quickly in the state of Florida. These suspicious vehicular accidents were said to be just staged accidents in order for the claimants to receive money from their auto insurance policy providing companies. In the staged accidents, the claimant would purposely drive their cars to walls, trees, street lamps, or other pavements and would claim their insurance policy to repair the damages and to pay for their medical expenses. According to the study about the questionable claims made in 2008 to 2009 conducted by the National Insurance Crime Bureau or the NCIB, Florida showed a 58 percent increase from 2008 to 2009. The NCIB President and Chief Executive Officer, Joe Wehler, said that back then, it was South Florida which was the center of these illegal yet difficult to prove claims, but now, Miami along with Hialeah areas have been presenting an increase in the number of such incidents and criminal activities. But what shocked the NCIB President and CEO the most is that Tampa is now the focal center of this criminal activity. He said that people undergoing such activity has expanded and increased in a span of one year. Based on the report informed by Wehler, Florida’s staged vehicular accidents and fraudulent claims has increased about 15 percent between 2008 and 2009. However, the said 58 percent increase from 2008 to 2009 of staged and caused vehicular accidents claim showed that this much people have been stressing and taking advantage of the state’s no fault vehicular accident insurance coverage. According to previous studies concerning the 12 states which has a no fault insurance policy, it showed that Florida had the highest number of staged vehicular accidents and claims in the bodily injury liability or the BI and the personal injury protection or the PIP. This form of crime has been said to have a minimal risk of getting caught at the same time, one could gain a lot from it. Wehler said that they have already placed a task force that would go against this type of criminal act in South Florida back in 2002. The task force was called the Major Medical Fraud Task Force and had a huge success in cleaning up and investigating such claims in South Florida, which is why most people who are doing such act and were not yet caught moved to Tampa and Orlando, the northern areas of the state. That is why, Wehler said, they would be opening a Major Medical Fraud Task Force up on Tampa as well as Orlando to make sure that this sort of criminal act would stop. Just recently, the NCIB have opened a public awareness campaign in Tampa about such criminal act. They have filled billboards, advertisements on buses, as well as radio commercials to inform the public how to spot staged vehicular accidents and what the consequences of such act. In the report, presented by NCIB, they showed that Tampa had a 290 percent increase of staged accidents which presented 487 incidents, Miami, on the other hand, had an 11 percent increase showing only 258 incidents and Orlando with 240 incidents which brought a 24 percent increase.